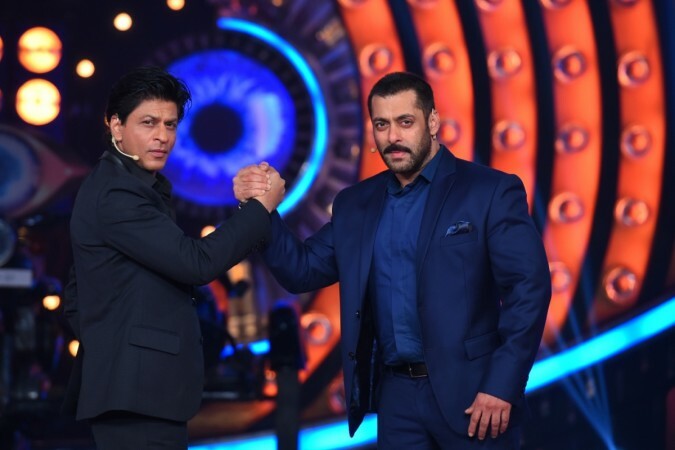 Salman Khan feels that Shah Rukh Khan and Aamir Khan are much better than him in the craft, and he is surviving just on "mediocre talent and luck". Salman Khan is one such superstar who is often considered to be the most popular and successful among the three Khans. However, he feels that Shah Rukh Khan and Aamir Khan are much better than him in the craft, and he is surviving just on "mediocre talent and luck". The 53-year-old actor called Shah Rukh and Aamir "legend", and said that one or two flop films cannot cause their downfall. "By the grace of God, the films that I am choosing have done well. But it is not as if Aamir or Shah Rukh are choosing bad or worse films. There are times when the movies I have chosen, to the best of my knowledge, have not worked. And then one film works and you are back. SRK is a legend, as is Aamir. A bad movie here or there may happen, but they will always come back. Actually, tension toh mera hai. Aamir and SRK know their craft. I have heard people saying they are not so sure about me (laughs)," Salman told DNA. The superstar further stressed that he is still surviving in the industry, mainly because of his luck and genuine fan-base. "My thing is that I am surviving on mediocre talent and luck. Actually, I don't know what I am surviving on, but I am surviving. Mere ups and downs toh hote rahenge. By the grace of God, hamari fan following itni tagdi hai," he told the publication. Salman's last movie Race 3 was a disaster, but it still managed to cross Rs 150 crore at the Indian box office. Now the actor is going to appear on the big screen with Ali Abbas Zafar directorial Bharat. The teaser of the film was released some time ago, and had received good response from viewers. Fans are now eagerly waiting for the trailer of the film that also features Katrina Kaif.